This post was first published by Croydon Advertiser on 26/11/2018. People facing mental health problems can arrange a friendly webchat through the new Big White Wall service. Stephen Mangan’s popular Channel 4 comedy Hang Ups paints a hilarious picture of online therapy. The show tells us as much about the chaotic life and troubles of the frantic Dr Richard Pitt – played by Mangan – as it does about the issues being faced by his wide variety of colourful patients. But online therapy really can work, and people in Merton will now get the chance to try it. A new online therapy service has been set up to make more appointments available and to improve recovery rates from mental health problems in the borough. The Big White Wall has been commissioned by Merton CCG (Clinical Commissioning Group) as an interim solution to address below average access and recovery rates. It has been commissioned alongside another online service called Ieso Digital Health. Both services have contracts until April next year when the CCG is planning to change all of its IAPT (Improving Access to Psychological Therapies) contracts. The idea of the Big White Wall is to offer an alternative to face to face therapy and it can be accessed from 7am-11pm every day. It is available to anyone in the borough older than 16 and patients can access the therapy by either typing or by voice, like a phone call, and even turning on the webcam. Those on the other side of the ‘wall’ are all accredited therapists who have at least two years face to face experience. Senior business development manager at the Big White Wall, Sarah O’Donnell, said: “It is all about trying to say if you are struggling you don’t have to be on a long waiting list. “Clinically, digital therapy is no different to face to face therapy. “Our recovery rate is 56% and nationally it is 50%. Face to face won’t be right for everybody and digital won’t be right for everybody, it comes down to choice. But Ms O’Donnell said she did not think the service should be seen as a replacement for more traditional therapy. “I don’t think we are the sort of service to replace face to face therapy,” she said. She added that there are some cases including eating disorders and addiction where the service may not be enough. 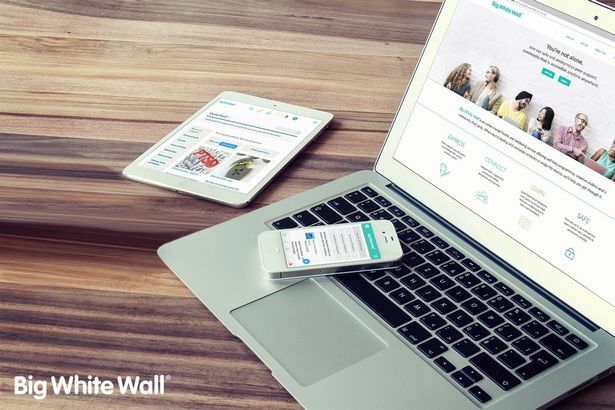 As well as being able to speak to a therapist online, the Big White Wall also has an online forum where members can speak to other people who are signed up. Ms McDonnell said: “Whenever anybody uses the service they get access to a safe online community which helps people get things off their chest – You can talk about pretty much anything. Dr Andrew Otley, a GP and Merton CCG clinical director for mental health said the additional services give people more choice. He said: “We know that in the past, Merton residents who are feeling anxious or low have had to wait too long to speak to a therapist, and that many people were not seeking out the treatment they might need. “That is why we’ve introduced additional services to make sure more appointments are available, including during evenings and weekends. There is also greater choice – you can speak to someone over the phone or online, as well as through face to face sessions. 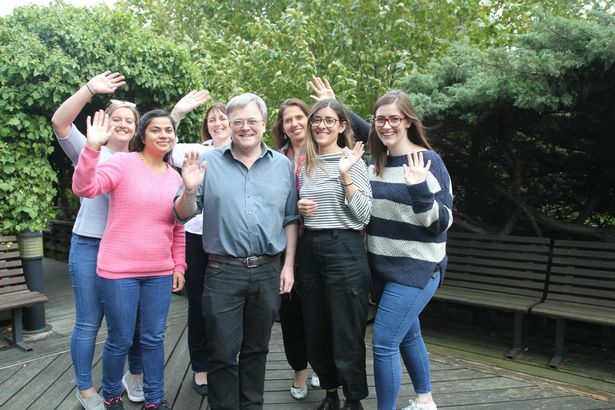 At a meeting of the CCG’s governing body last month, John Atherton, director of performance and improvement at the CCG said the IAPT service is now ‘back on track’ to meet national targets.